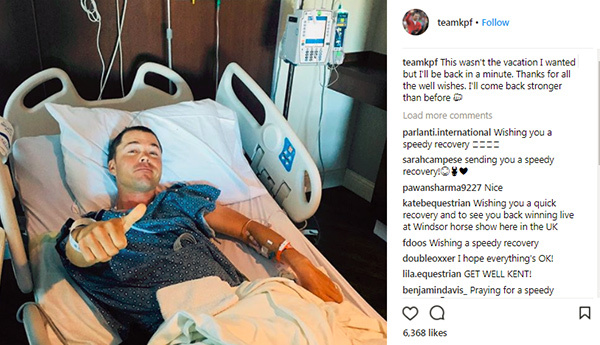 The world’s number one show jumper, Kent Farrington, was injured while competing at the Winter Equestrian Festival in Wellington, Florida, on February 15, 2018. It is reported that Farrington, a US Olympic silver medallist, came off 12-year-old Lucifer V in a 1.30m class in the Mogavero Ring when the horse bucked. Lucifer V is owned by Jenn Gates, daughter of business tycoon Bill Gates, and was formerly ridden by Jack Hardin Towell.